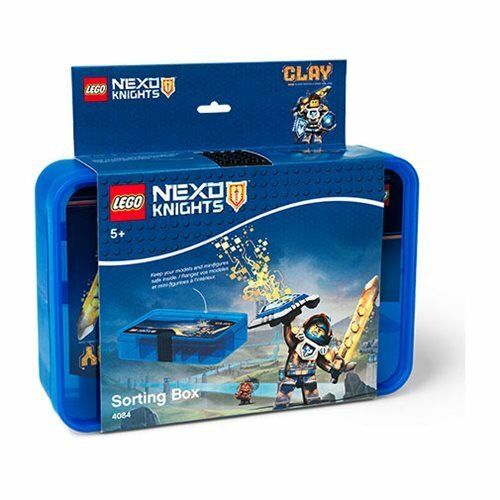 The LEGO Nexo Knights Sorting Box has small compartments of various sizes inside to keep the mini-dolls and other LEGO Friends elements separated and intact. The box fits in to most bags and makes it possible for the user to bring their favorite LEGO Friends sets to a friends house to play. 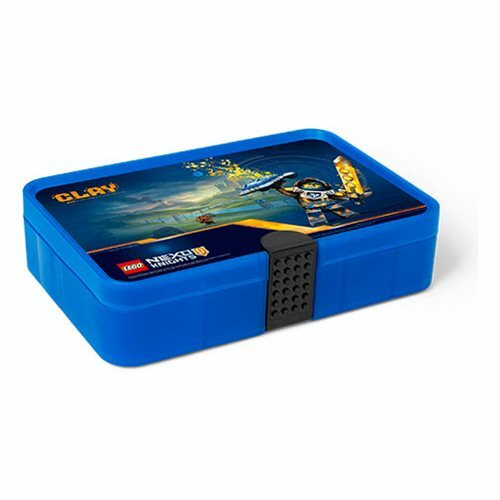 The stackable box has a fun LEGO Friends image on the lid and by adding a LEGO element on the base plate clip, the box can be customized for quick identification of the content inside. The LEGO Nexo Knights Sorting Box measures about 10 1/2-inches long 6 3/4-inches tall x 2 1/2-inches wide. Ages 5 and up.